The Health Sciences School of Indira Gandhi National Open University has launched Post Graduate Certificate Program in the Acupuncture. The demand for therapy as acupuncture is increasing day by day,Because of this, the requirement of expertise is also going to increase in this course.The IGNOU notification on course has been told that this course has been launched after seeing the growing popularity of acupuncture therapy. Medical graduates will learn this new model of new therapy by doing this course. They will be successful in treating patients. 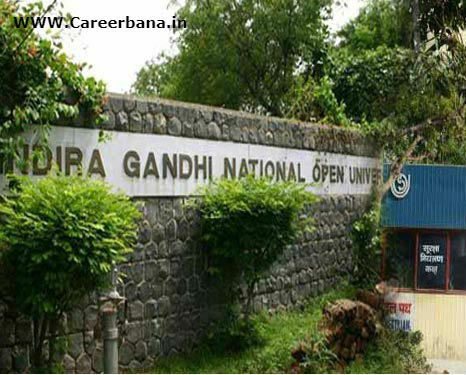 Eligibility for this course has been determined by IGNOU only. Medical graduate students from any stream can take admission.This program will be taught at IGNOU 9 Study Centers across the country, in Delhi, Hubli, Nashik, Indore, Kota, Chennai, Rourkela, Ludhiana and Kolkata.Like other courses in IGNOU, it can also be done through distance learning. The fees for one year program are being mentioned as Rs 30000. This course can also be done for a maximum of 3 years.